$425.00 Out of stock. Email me when new stock arrives. Looking for an effect that really gets the audience participating, even yelling and screaming, before being dumbfounded and surprised? Then check out Back of Tora Cube. You show a Rubik's type cube and put it into a Die Box. 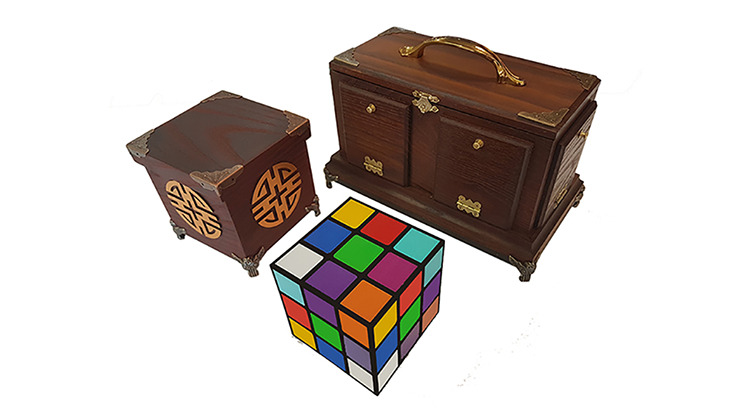 Even though you slide it from side to side, and the audience can hear it sliding, they never guess the correct door to open to find the cube. After driving the audience wild, you open the Die Box completely - no cube! The cube is back in the wooden box where it started! If you've played with a Die Box before, you'll love this upgraded version. Get yours today!